Radio broadcasting is a unidirectional wireless transmission over radio waves intended to reach a wide audience. Broadcasting encompasses several technologies that transmit content or data. Due to the introduction of new technologies, the way radio is defined is changing even more. Nielsen Audio, formerly known as Arbitron, the United States-based company that reports on radio audiences, defines a "radio station" as a government-licensed AM or FM station; an HD Radio station; an internet stream of an existing government-licensed station; one of the satellite radio channels from XM Satellite Radio or Sirius Satellite Radio; or, potentially, a station that is not government licensed. Traditional radio broadcasting includes AM and FM stations. There are several subtypes, namely commercial broadcasting, non-commercial educational, public broadcasting and non-profit varieties as well as community radio and student-run college campus radio stations throughout the world. The earliest form of radio wave, called the thermionic valve, was invented in 1904 by English physicist John Ambrose Fleming. The first broadcast is reported to have occurred in 1909 by Charles Herrold in California. His station later became KCBS, still existing today as an all-news AM station out of San Francisco. AM, the earliest form of radio, is also known as amplitude modulation. It is defined as the amplitude of a carrier wave that is varied in accordance with some characteristic of the modulating signal. The medium-wave band is used worldwide for AM broadcasting. AM broadcasts occur on North American airwaves in the frequency range of 525 to 1705 kHz, also known as the “standard broadcast band." The band was expanded in the 1990s by adding nine channels from 1605 to 1705 kHz. A big advantage of AM radio signal is that it can be detected and turned into sound with simple equipment. A disadvantage of AM radio is the signal is subject to interference from lightning, electrical storms and other electromagnetic interference like solar radiation. The power of regional channels which share a frequency must be reduced at night or directionally beamed in order to avoid interference. At night, AM signals can travel to much more distant locations, however, it's at that time that fading of the signal can be the most severe. FM, also known as frequency modulation, was invented by Edwin Howard Armstrong in 1933 to overcome the problem of radio-frequency interference, which plagued AM radio reception. Frequency modulation was a method of impressing data onto an alternating-current wave by varying the instantaneous frequency of the wave. FM occurs on VHF airwaves in the frequency range 88 to 108 MHz. The original FM radio service in the U.S. was the Yankee Network, located in New England. Regular FM broadcasting began in 1939 but did not pose a significant threat to the AM broadcasting industry. It required the purchase of a special receiver. As a commercial venture, it remained a little-used audio enthusiasts' medium until the 1960s. The more prosperous AM stations acquired FM licenses and often broadcast the same programming on the FM station as on the AM station, also known as simulcasting. The Federal Communications Commission limited this practice in the 1960s. By the 1980s, since almost all new radios included both AM and FM tuners, FM became the dominant medium, especially in cities. There have been several types of radio stations using newer radio technology that have cropped up since about 2000, satellite radio, HD radio, and internet radio. SIRIUS XM Satellite Radio, a merger of the two first American satellite radio companies, delivers programming to millions of listeners who pay for special radio equipment along with a monthly subscription fee. The first American broadcast of satellite radio was by XM in September 2001. Programming is beamed from earth to satellite, then sent back to earth. Special antennas receive the digital information either directly from the satellite or from repeater stations which fill in gaps. HD radio technology transmits digital audio and data alongside existing AM and FM analog signals. As of June 2008, more than 1,700 HD radio stations were broadcasting 2,432 HD radio channels. According to Ibiquity, the developer of the technology, HD radio makes "...your AM sounds like FM and FM sounds like CDs." The Ibiquity Digital Corporation, an American consortium of private companies, states that HD radio offers FM multicasting, which is the ability to broadcast multiple program streams over a single FM frequency that has static-free, crystal-clear reception. 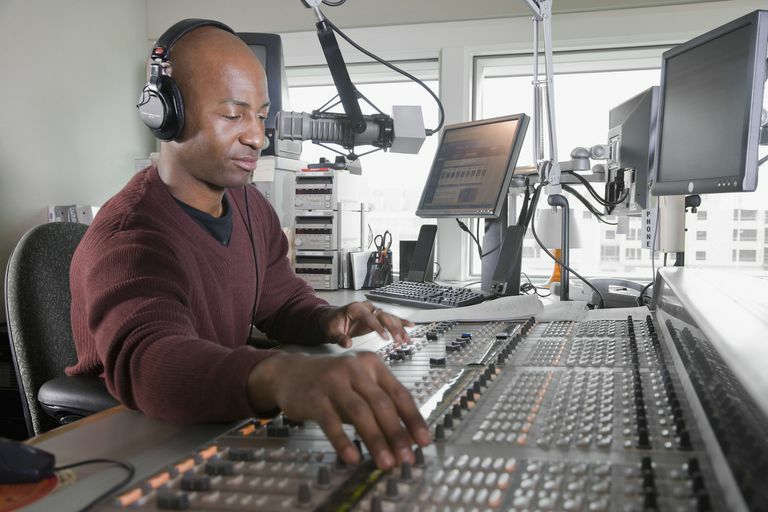 Internet radio, also known as simulated broadcasting or streaming radio, feels like radio and sounds like radio but it is not really radio by definition. Internet radio provides the illusion of radio by separating audio into small packets of digital information, then sending it to another location, like a computer or smartphone, and then reassembling the packets into one continuous stream of audio. Podcasts are a good example of how internet radio works. Podcasts, a portmanteau or combination of the words iPod and broadcast, are an episodic series of digital media files that a user can set up so that new episodes are automatically downloaded via web syndication to the user's local computer or digital media player.